Last week marked our first week back to tutoring for the school year! It was so wonderful to see the familiar faces of all of our students, volunteers, and program partners out at our tutoring sites! To celebrate heading back to tutoring (and to get everyone’s brain back into homework and math mode after an entire summer off),  we’re excited to share our  Tutor Tips video! We know math topics are something that ALL of us struggle with at one time or another during the tutoring hour. Kids are taught math differently than we were, and most of us don’t use basic math concepts in our every day lives. We’re here to help with that! 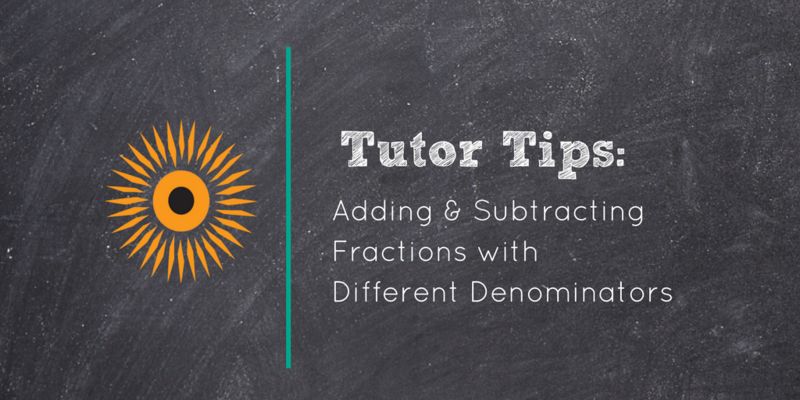 In the second video in our Fractions series, we provide a brief refresher on how to add fractions with different denominators, including how to create a common denominator between two fractions. Check it out below! Have you missed the other videos in Tutor Tips series? Check them out on our  Youtube channel! Is there another topic you’d like us to cover? Leave us a comment below!